1. Wearable tech is growing—and it's here to stay. With millennials and post-millennials becoming an increasingly large sector of the market— and the workforce—we can expect to see this trend continue. 2. The wrist is leading the way...for now. By far the dominant trend in wearables up to now has been in wrist-wearables—ftness monitoring bracelets like FitBit and Jawbone's UP, and smartwatches like the Apple Watch and Pebble. Headsets and smartglasses like “Google Glass” can expect their market shares to grow. The common theme here is on hands-free devices. The rise of powerful portables like smart phones and tablets has made high-level computing mobile, and the next step will be for tools that allow users to access that power without having to fish around in their pockets or purses. While still the largest single player in wearables, fitness bracelets will see their popularity plateau as smartwatches prove increasingly capable of integrating fitness functionality into devices that do much more. Moving forward, we can predict dedicated wearables to fall behind devices that offer multifunctionality, led by smartwatches—which will continue to become both less expensive and more powerful. 1. Wearable tech will spur innovation in advertising and POS. Smartphones have changed the game in advertising and point-of-sale, and wearables will continue this trend. For an overview of what wearables will mean for advertising, this article at Content Marketing Institute is a great place to start. Wearables will put even more of a premium on “glanceable” content, and the granular data made available by wearables will become even more important in microtargeting to make sure your message gets to the right consumers. Regarding point-of-sale, Mastercard Biz has a great article describing some of the changes to anticipate as consumers move past mobile payment solutions to paying directly through wearables. 2. Wearables won't just change the way we buy and sell; they'll change the way we work, too. 3. 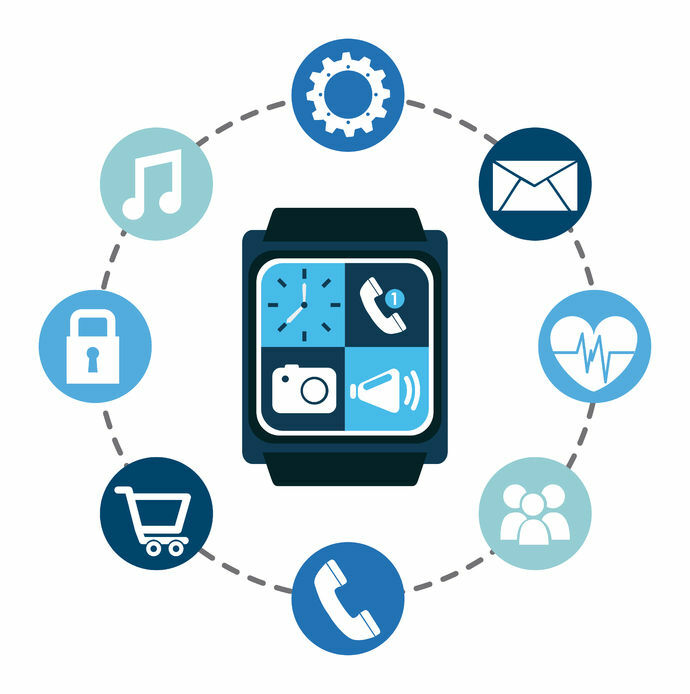 Wearables mean changes to current business—as well as entirely new business opportunities. In short, the advent of wearables will mean not only adapting older business models to new technologies, but also creating new models specifically designed to capitalize on the way wearables allow users to interact with the world. As we've learned with the rise of mobile and the Internet before that, small businesses that are open to innovation will be poised to reap huge rewards.